News New Delivery at Site Equip! New Delivery at Site Equip! Here at Site Equip we would like to congratulate the lovely couple Gary and Becky on the arrival of their new born baby Reece. 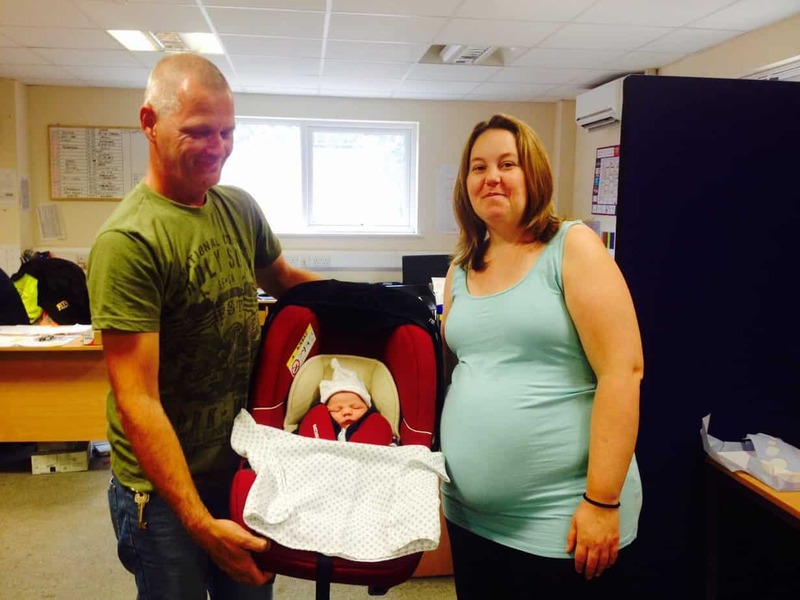 Only arriving yesterday, 19th August 2015, Gary and Becky were straight into the office on the way home from the hospital to show off their beautiful new born. Gary has been at Site Equip for almost 2 years now, as one of our exceptional event drivers. We would all like to wish Gary and Becky all the best with their new born, Reece, we are all sure it won’t be long until he has his towing licence and has joined the team!